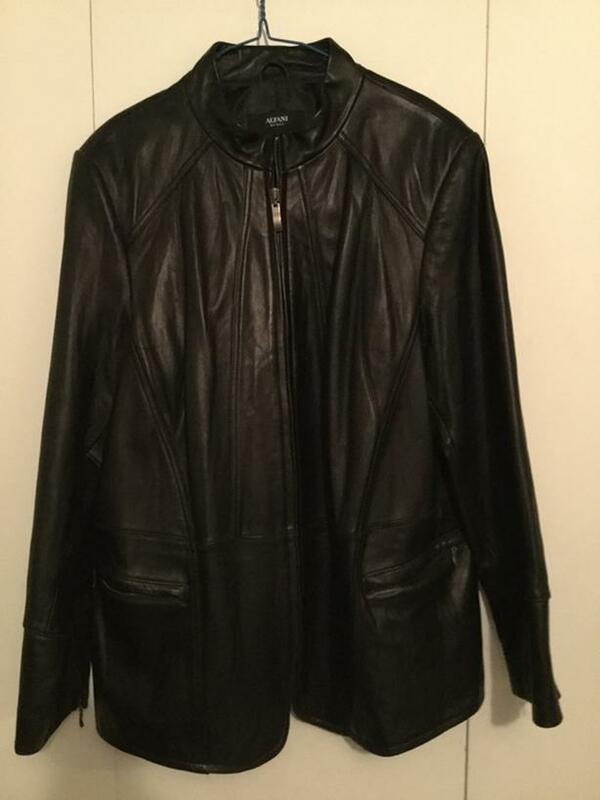 Black ladies leather jacket. Size 2X. Almost new - worn only 3 times. Zippered front and pockets. Paid $250. U.S.. Now only $75.